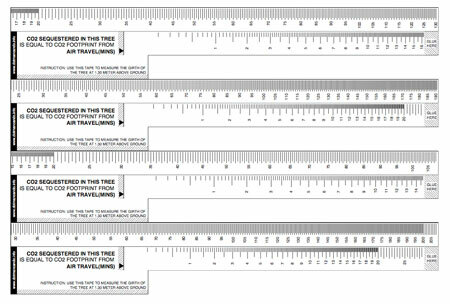 You are currently browsing the tag archive for the ‘CO2 sequestration’ tag. 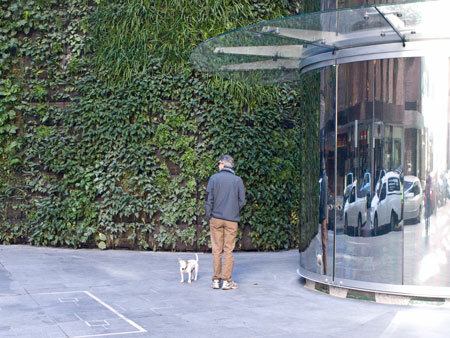 Is this the future for public trees? 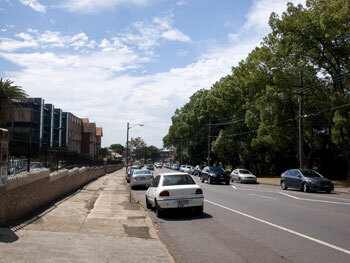 Unfortunately this is a common sight across Marrickville LGA. renegade roots, threats to sue for cracking to walls & fences, wobbly footpaths, falling leaves, complaints about falling leaves, side branches, dropping branches, threats to sue because of dropping branches, falling flower petals, slippery footpaths from fallen fruit, leaves or petals, labour & costs for cleaning the trees of fallen tree litter, noisy birds & feeding flying-foxes & other animals, cultural dislike of non-fruit trees, illegal tree removal & vandalism …. have I covered everything? 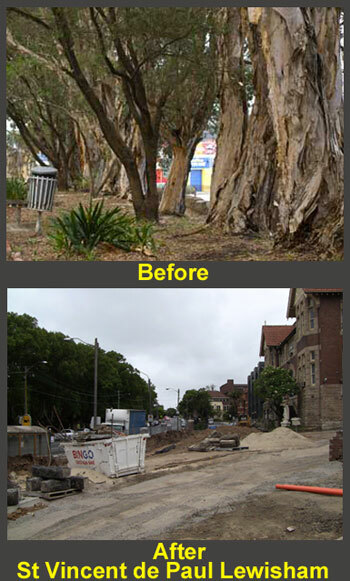 Suffice to say that trees often divide the community & cause problems for Councils. 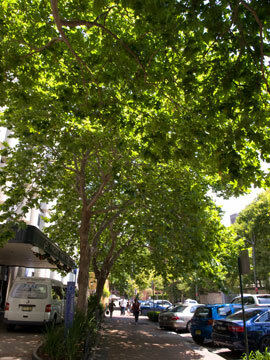 With the climate getting hotter it’s getting much harder to grow street & park trees. They require regular & deep water every couple of days while they are young & need watering for 1-2 years until they are established. 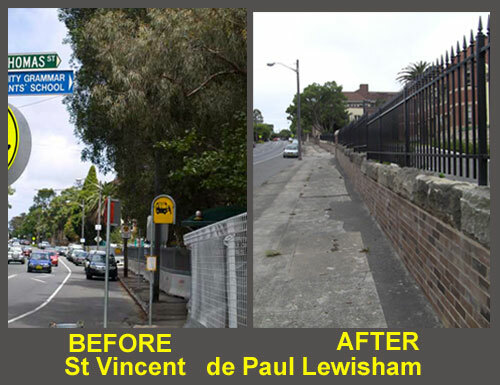 Marrickville Council doesn’t do this. They water weekly for 12 weeks, then the tree has to survive on its own. Their own report said there has been a very high loss of new tree plantings due to death usually caused by lack of water & sometimes vandalism. 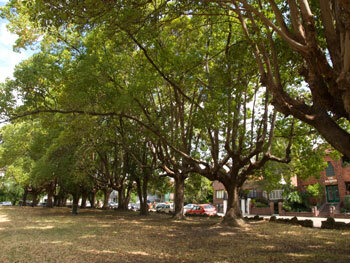 Trees also take many years to grow depending on the species. I’ve been meaning to document the growth of a newly planted street tree to demonstrate this. 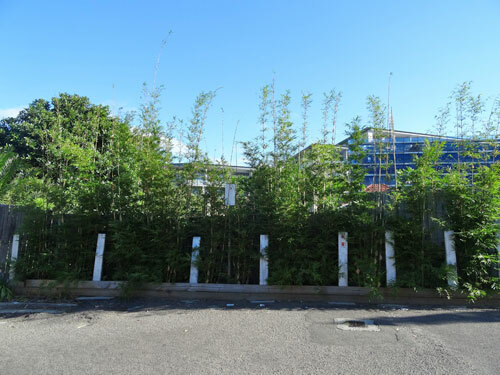 A whole street of mature Melaleucas was removed in my area around 7 years ago. 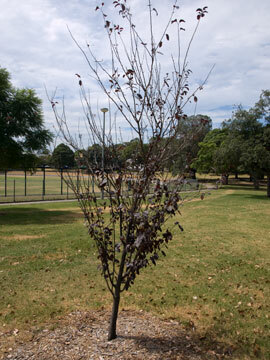 Council did plant replacement trees & those trees still look like sticks. 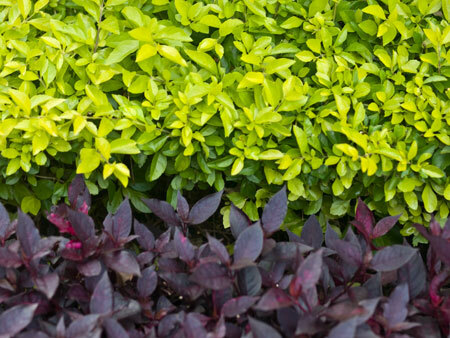 They provide little greenery, no canopy & no shade. In winter they completely lose their leaves looking more like sticks. This isn’t Council’s fault. They cannot make a canopy replace itself in a short time. Council staff once told me that street trees are only expected to live between 7-15 years because of the poor growing conditions & because of pruning required for overhead cables. 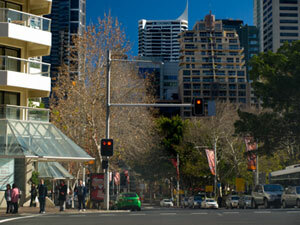 If you think about it, it would be almost impossible to get a canopy & trees on the skyline if this was adhered to. 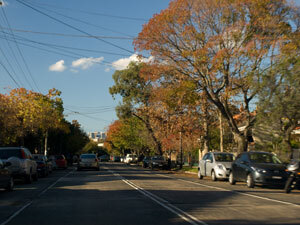 That street trees live longer is a miracle in many cases. Now to get to the meat of this post…. 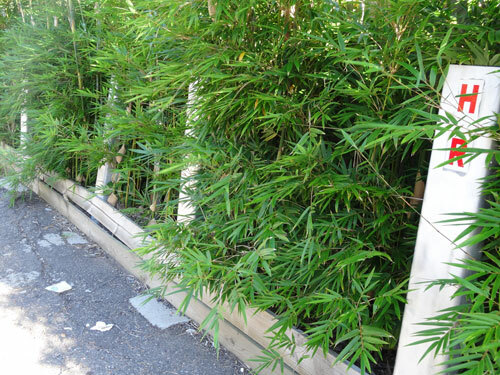 The City of Boston asked for designs for a synthetic tree as part of their SHIFTboston Urban Intervention contest. This tree needed to provide the benefits of a real tree of carbon sequestration & oxygen production, but must not require soil or need watering to function. (Solves many of the tree problems Councils currently face). Paris designers Mario Caceres & Cristian Canonico of Influx Studio came up with Treepods. They look similar to the Dragon Blood tree (Dracaena cinnabari) & fulfill the specifications of removing CO2 from the air & releasing oxygen. Treepods sit on top of the ground so there is no problem with underground installation & certainly no problems with tree roots. Treepods are constructed from recycled plastic drinking bottles & run on solar power & kinetic energy. They also light up at night adding an extra dimension by creating safely lit areas. I am of two minds about Treepods. I love the sheer creativity of the design & that they could be employed if the climate changes so much that it becomes difficult to grow trees. Treepods fit the design criteria for SHIFTboston perfectly. However, I imagine that this technology could well be used on building walls & roofs without having to be in the form of a tree. 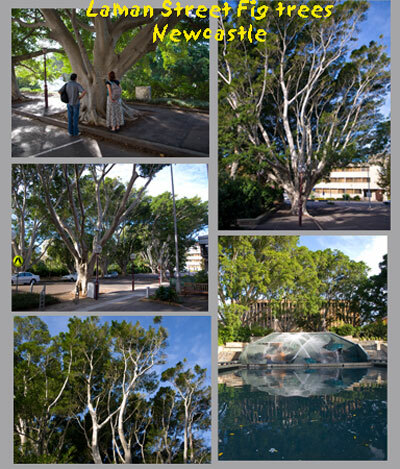 I also think Treepods would do well as art in public spaces right now purely for art’s sake & for the added benefit of community education as the kinetic part of its function requires interaction with people. 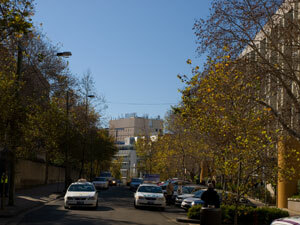 But to replace street or park trees with Treepods, well, I’d rather not. 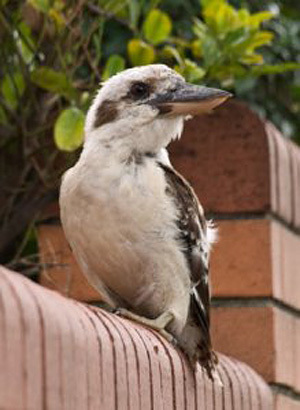 Just imagine the impact on birds, insects, other urban wildlife as well as human health & wellbeing. 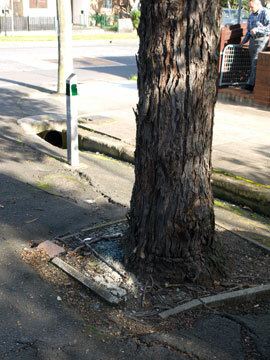 How hard is it for a street tree to grow in these conditions? 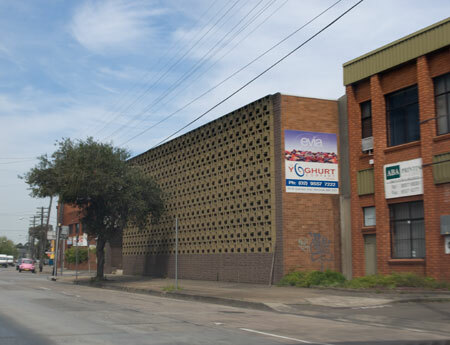 Too much of Marrickville LGA looks like this. 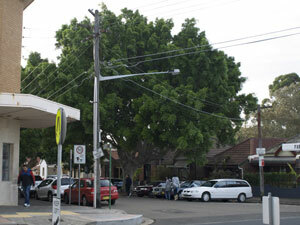 It's a harsh, ugly landscape in my opinion..
On 25 January 2010 Marrickville Council put up a Notification of Removal on their website saying they will be removing a Camphor Laurel (Cinnamonum camphora) street tree outside 2-12 Metropolitan Road Enmore. 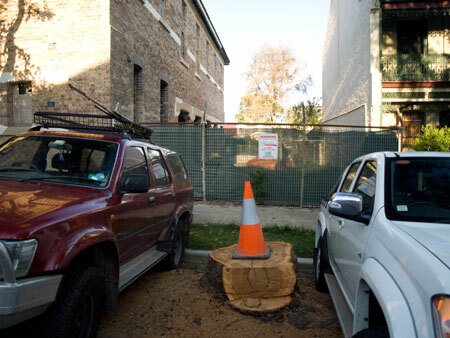 On 26 January 2010 I went to have a look at this tree & after a search, found the stump in-between 2-parked cars. Some residents said the tree had been chopped down a few days ago. 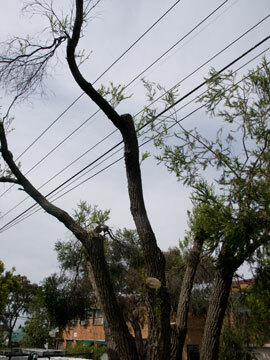 This is one more instance of Council’s inconsistent tree removal processes. I have written about this issue before. This is a pointless notification when the tree was already gone for a few days. This process engenders distrust because it is only a pretend attempt to engage the community. This is cryptic language that doesn’t inform of the real reason for the tree’s removal & makes it impossible for the community to make an assessment whether the removal is reasonable. As I understand it, the Notification of Removal notices are posted principally for the benefit of the community. If this is the case, I can see no reason why they shouldn’t be written in plain language. Jargon excludes people. By inspecting the site (which is the old school being revamped), I can only suppose that the tree was removed to allow driveway access at the front of the property. If this is correct, it is such a shame to lose a tree described by local residents as “gorgeous,” when there is access of equal width & equal utility at the rear of the property. All the properties in the neighbourhood have rear access only. 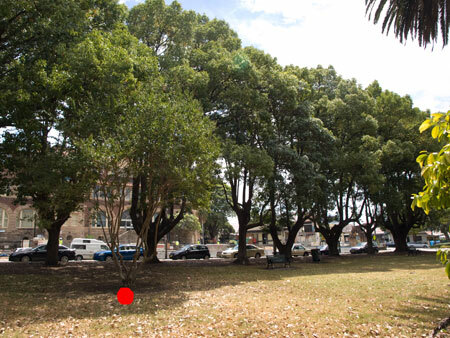 I could not find the reason for the tree’s removal because the DA cannot be found on Council’s website nor elsewhere on the net. 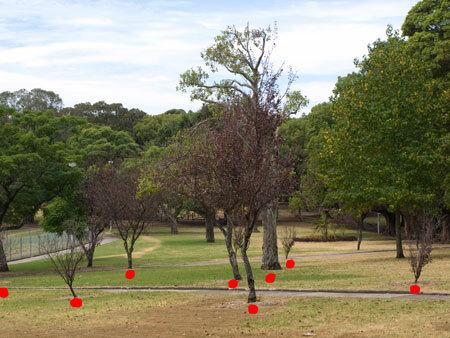 Council says the tree will be replaced with “4 x Super advanced amenity tree specimens.” They do not indicate which species of tree or say when they will be planted. Dr Kim D. Coder, Professor of Community Forestry & Arboriculture at Warnell School of Forest Resources said amenity trees can be summarized as having 3 qualities; “charming, satisfaction & utility.” I would say that the Camphor laurel also had these qualities. 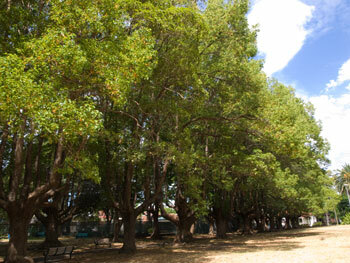 The Camphor laurel had a girth of 2.5 metres & therefore would have sequestrated a significant amount of Co2 annually. I hope that the “4 x Super advanced amenity tree specimens” are of the kind that also grow large trunks. 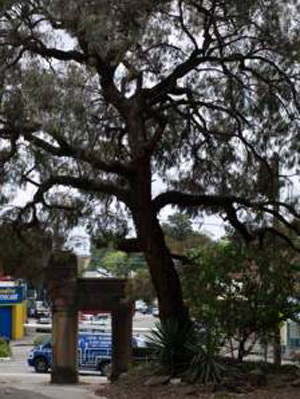 Not only do I wish Marrickville Council had a standardized process regarding tree removal & honoured it, but I wish that they would also fight to protect & keep our street trees when there is a DA, especially when there are alternatives available. This tree was a huge loss to the community.